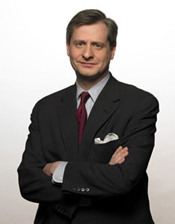 Jon Meacham is an executive editor at Random House, and the former editor of Newsweek. His books include the Pulitzer Prize-winning American Lion: Andrew Jackson in the White House, and American Gospel: God, the Founding Fathers, and the Making of a Nation. Jon's new book is Thomas Jefferson: The Art of Power, out this month from Random House. One of the major themes of your book is Jefferson's understanding of political power and how to use it. Tell us a bit about the personality traits and skills Jefferson deployed that contributed to his political successes. As a student of history and of human nature, Jefferson understood what made other men tick, and he appreciated that we should make the perfect the enemy of the good. Accustomed to authority and deference as a scion of Virginia, he was also comfortable with power. Did you come across anything during the research process for this book that particularly surprised you about Jefferson? Anything that changed a view of him that you'd previously held? Two things. The first was his thorough and perennial immersion in the ways and means of politics and government. The other was his evident sexual appetite, something that emerges in his correspondence from very early on. As part of your research process, you spent a night in Jefferson's bedroom at Monticello. Can you tell us about that experience? What insights did you gain from being there that helped you understand the man better? I was struck by the play of light in his rooms. The sun strikes his chambers first, and he always woke at first light—a sign of his constant engagement with the world, and of his endless energy. You write in the Epilogue about Jefferson's legacy, and about how he has, over time, "provided inspiration for radically different understandings of government and culture." What is it about the Founders in general, and perhaps Jefferson in particular, which has lent itself to such wide-ranging interpretations? What do you see as some of the most common misconceptions of Jefferson's philosophy or positions today? Jefferson represents the best of us and the worst of us—our highest aspirations and our most disappointing failures. It's easy, then, to find ourselves in a kind of conversation with him as we look to the past for inspiration and for instruction. I think the most stubborn misconception about him is that he was solely a man of ideas. My view is that he was at once a philosopher and a political realist. I usually write the lion's share of my books in Sewanee, Tennessee, where we have a house on the Domain of The University of the South. Jefferson was, of course, quite a reader and a lover of books (his library was the first LibraryThing Legacy Library). He also enjoyed sharing book recommendations with others. What were some of the books you found most useful in writing this biography and would recommend to your readers? Annette Gordon-Reed's The Hemingses of Monticello, Gordon S. Wood's Empire of Liberty and The Idea of America, and Frank Cogliano's A Companion to Thomas Jefferson. What's your own library like? What sorts of books would we find on your shelves? Mostly history and biography, but with a healthy dose of Trollope, Michael Connelly, Dan Silva, and Lee Child. Which books have you read and enjoyed recently? Ike's Bluff by Evan Thomas and Gone Girl by Gillian Flynn. Do you have a sense yet of what your next project will be? A biography of George H.W. Bush.